Nathan Handwerker, Lloyd Handwerker, Sol Handwerker et al. 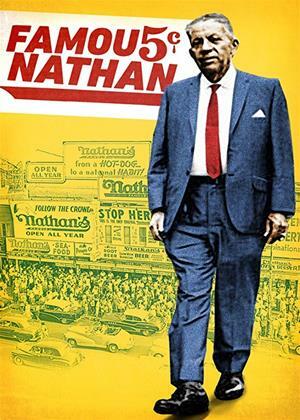 A Coney Island-inspired, densely-layered visually dynamic documentary portrait of the life and times of the original Nathan's Famous, created in 1916 by filmmaker Lloyd Handwerker's grandparents, Nathan and Ida Handwerker. 30 years in the making, Famous Nathan interweaves decades-spanning archival footage, family photos and home movies, an eclectic soundtrack and never-before-heard audio from Nathan: his only interview, ever as well as compelling, intimate and hilarious interviews with the dedicated band of workers, not at all shy at offering opinions, memories and the occasional tall tale.